An atom consists of an extremely dense nucleus surrounded by an electronic "cloud". - Is negligible in comparison with the external dimensions of the cloud, and consists of protons and neutrons. Atom in the normal state is neutral, and electrons carry a negative charge. But the atom can also pull other electrons, or give away your. In this case, it will be negatively charged or positively charged ion. 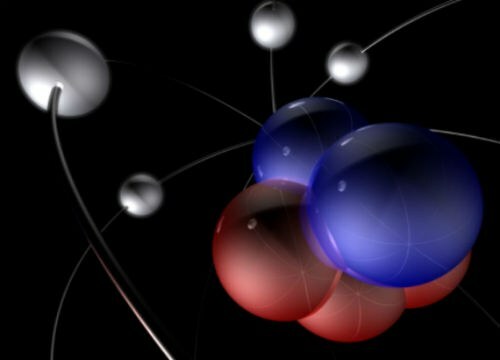 How to determine how many electrons contained in the atom? First of all, you will come to the aid of the periodic table. Looking at her, you will see that each element has not only its own strictly defined place, but an individual serial number. For example, hydrogen it is equal to one, carbon – 6, gold – 79 and so on. That is the sequence number describes the number of protons in the nucleus, that is, the positive charge of the nucleus of the atom. As the atom in the normal state is neutral, the positive charge must be balanced by a negative charge. Therefore, from hydrogen one electron, carbon, six electrons, gold has seventy – nine electrons. But how to determine the number of electrons in the atom, if the atom, in turn, is part of a more complex molecule? For example, what is the number of electrons in the atoms of sodium and chlorine, if they form a molecule well known to all of you regular table salt? And there's nothing difficult. Start with that, write a formula for this substance, it will be NaCl. From the formula you will see that a molecule of salt consists of two elements, namely the alkali metal sodium and the gas-halogen is chlorine. But this is not the neutral atoms of sodium and chlorine, and their ions. Chlorine, forming the ionic bond with sodium, thus "pulled" to one of its electrons, and sodium, respectively, it "gave". Again, look at the periodic Table. You will see that sodium has a sequence number 11, chlorine is 17. Therefore, now the sodium ion will be 10 electrons, chlorine-ion – 18. 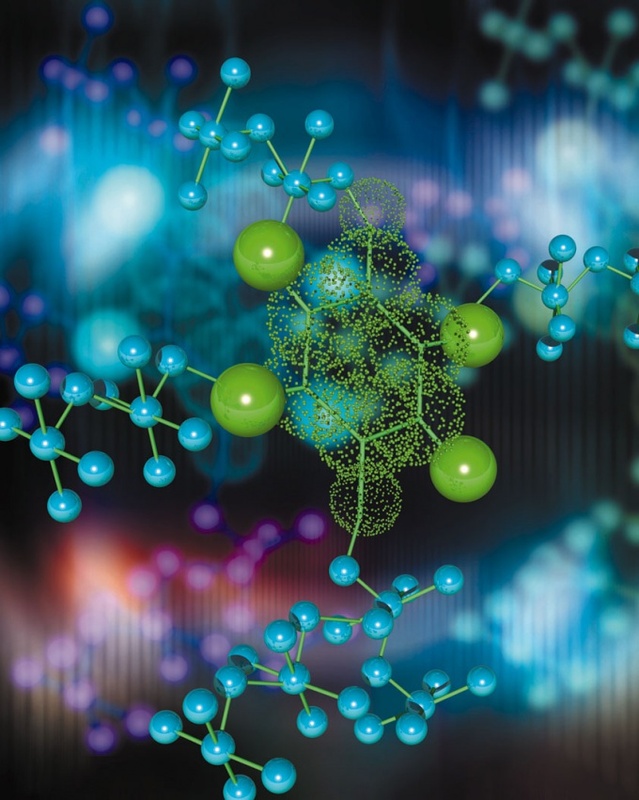 Acting according to the same algorithm, it is easy to determine the number of electrons in any chemical element, whether in the form of neutral atom or ion. The proton is positively charged particles, neutrons do not carry any charge. The atom of any chemical element consists of the atomic nucleus and orbiting around it, electrons. And what is the atomic nucleus? In 1932 it was established that the atomic nucleus consists of protons and neutrons. periodic table of chemical elements of D. I. Mendeleev. The proton is a positively charged particle with a mass 1836 times greater than the mass of the electron. The electric charge of the proton matches the module with the charge of the electron, and hence the charge of proton is 1.6*10 ^ (-19) Coulomb. Nuclei of different atoms contain different numbers of protons. For example, in the nucleus of the hydrogen atom with only one proton and in the nucleus of an atom of gold is seventy nine. The number of protons in the nucleus coincides with the sequence number of this element in table of D. I. Mendeleev. 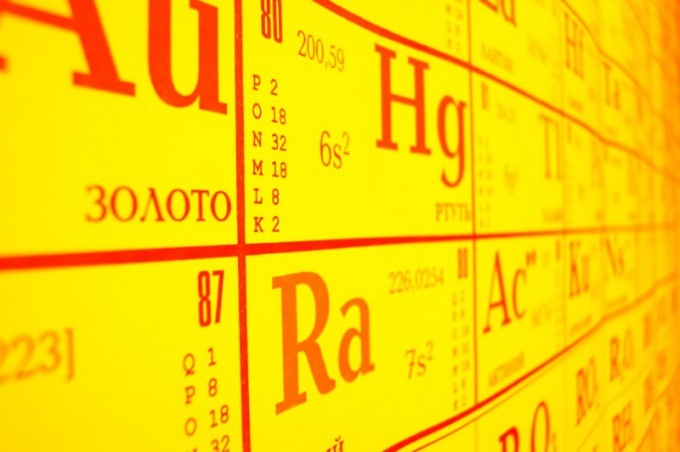 Therefore, in order to determine the number of protons in the nucleus of a chemical element, need to take the periodic table, find the desired item. At the top of the specified integer number is the ordinal number of an element is the number of protons in the nucleus. Example1. If you can determine the number of protons in the nucleus of an atom of polonium. Look in the periodic table chemical element polonium, it is located at number 84, then it is 84-of the proton. Interestingly, the number of protons in the nucleus equals the number of electrons moving around the nucleus. That is, the number of electrons in the atom of an element is defined as the number of protons – the ordinal number of the element. Example 2. If the sequence number of polonium is 84, it has 84 protons (in the nucleus) and 84 electrons. A neutron is an uncharged particle with a mass larger than the mass of the electron in 1839 times. In addition to the sequence number at the periodic table of chemical elements for each substance provided another number which, when rounded, displays the total number of particles (protons and neutrons) in the atomic nucleus. This number is called the mass number. To determine the number of neutrons in the nucleus be subtracted from the mass number the number of protons. Example 3. The number of protons in an atom of polonium is 84. Its mass number is 210, then, to determine the number of neutrons , find the difference between the mass number and sequence number: 210 – 84 = 126. The atomic nucleus consists of particles called nucleons. You know two of them – neutrons and protons. The number of neutrons can be found by the mass of the atom because it is almost equal to the mass of the atomic nucleus (mass of electron shells is negligibly small) and its charge. Every atom of matter is described in the periodic system of chemical elements. Locate the cell element corresponding to the investigated atom. At the bottom of the cell, find its relative atomic mass. If it is a fractional number, round it to an integer (this is the relative atomic mass of the most common in nature of the isotope). This number reflects the number of nucleons in the atomic nucleus. Find the serial number of the studied chemical element. It is equal to the number of protons in the nucleus. Determine the number of neutrons, subtracting the relative atomic mass the number of protons. Example. Find the number of protons in an atom of iron. The iron atom corresponds to the chemical element Fe (ferrum). Its relative atomic mass is 56. The ordinal number of the element is equal to 26. The number of neutrons N=56-26=30. For a particular isotope is always given for more clarification. Before designation of an element indicates its relative atomic mass and number in the periodic table. In this case, take the atomic mass found on the records of the isotope. For example, ordinary oxygen has mass number 16 and number 8, the number of neutrons N=16-8=8. Its stable isotope oxygen-18 has the appropriate mass number and number of neutrons in the nucleus N=18-8=10. Determine the number of neutrons the mass of the nucleus and its charge. If the mass is given in kilograms, divide it by the number of 1,661∙10^(-27). The result is the mass in atomic mass units (relative atomic mass). The nuclear charge in coulombs divide by the number 1,6022•10^(-19) (charge of a single proton in coulombs). This is the number of protons. The translation of all values round to the nearest integer. Find the number of neutrons, subtracting the relative atomic mass the number of protons. Example. The mass of the atom is equal 11,627∙10^(-27) kg the Charge of its nucleus is 4.8•10^(-19) Coulomb. Find the average atomic mass of an element 11,627∙10^(-27)/(1,661∙10^(-27))=7. Calculate the number of protons is 4.8•10^(-19) C/(1,6022•10^(-19))≈3. Determine the number of neutrons N=7-3=4.